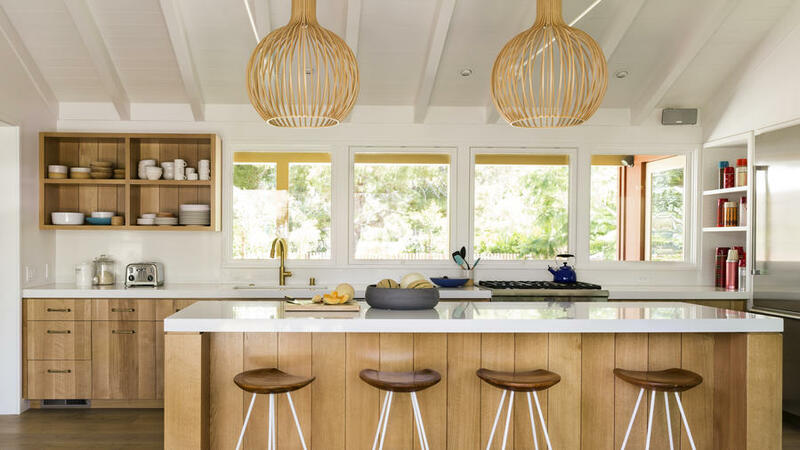 Octo pendant lamp replica in natural wood, $240 U.S.
Modern raw-oak cabinetry pairs with white walls and Caesarstone countertops, creating a bright contrast in the kitchen. Large-slatted wood pendant lamps serve double duty as art elements. 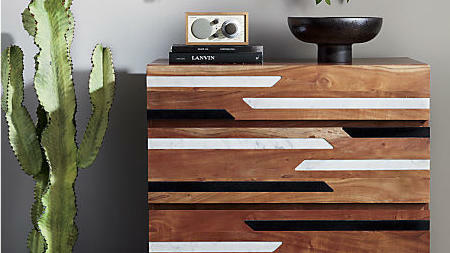 Pair furniture with unique modern design (like this dresser with white and black marble inlays) with dry-weather—and naturally graphic—houseplants like cactus. Leather ages over time, so consider that furniture with leather would gain increasing character. Inspired by Brazilian mid-century design, this chair is a show-stopper for any living space. 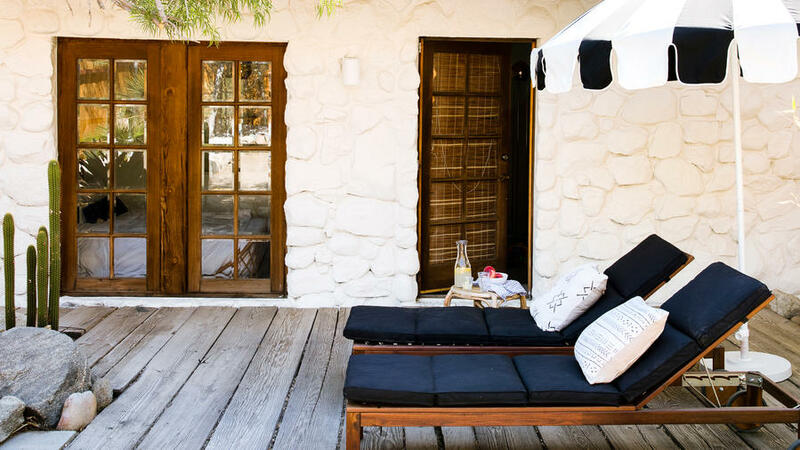 An ode to the Parker Hotel in Palm Springs and Sonoran desert style in general, whitewashed stone walls frame this outdoor living space with a retro patio umbrella and navy chaises. 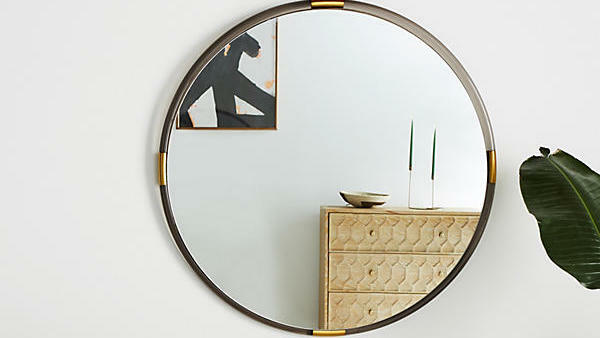 A natural palette isn't limited to greens and browns. 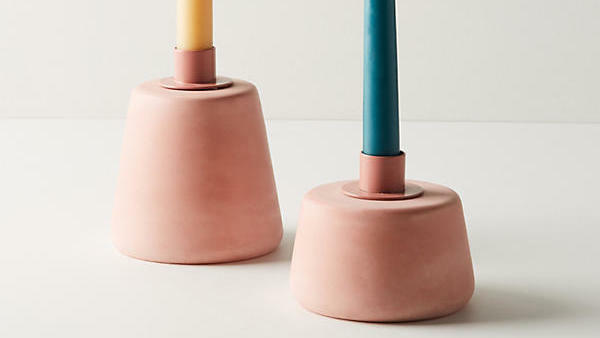 Chose warm earth tones—golden yellow, terra cotta pink, rich aqua—to bring energy to any space. The surface textures of Southwestern style (wood, stone, clay) can feel cold. 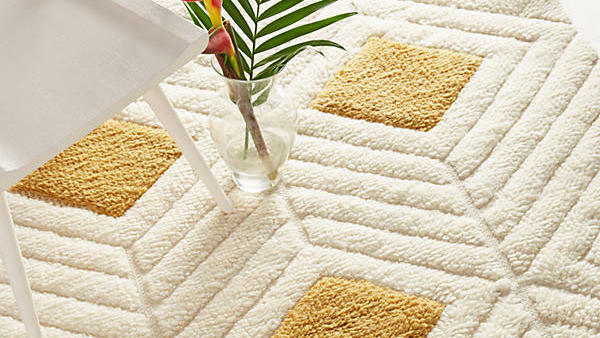 Keep spaces light and warm by adding soft bright area rugs with simple designs. 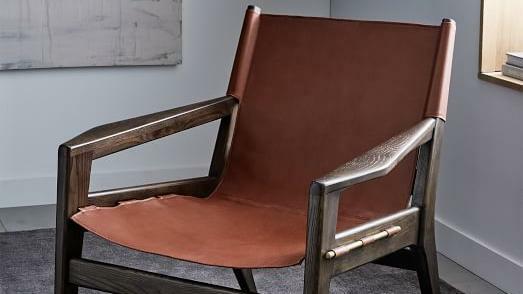 In the home, leather's not just for seating. 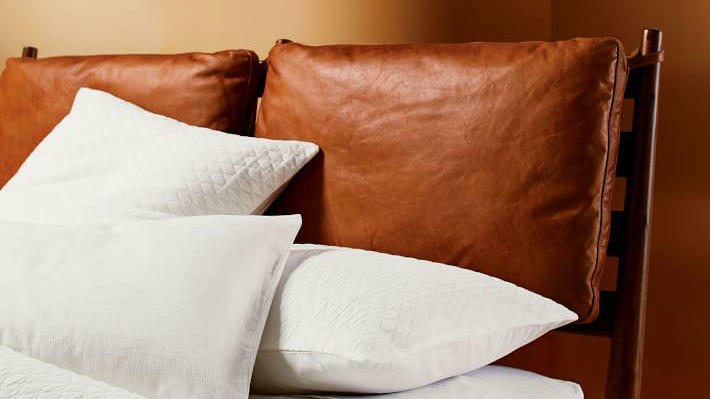 Get that Southwestern style in the bedroom with leather pillows or headboard. Chose dishware in natural materials (like this stoneware) and rich hues. 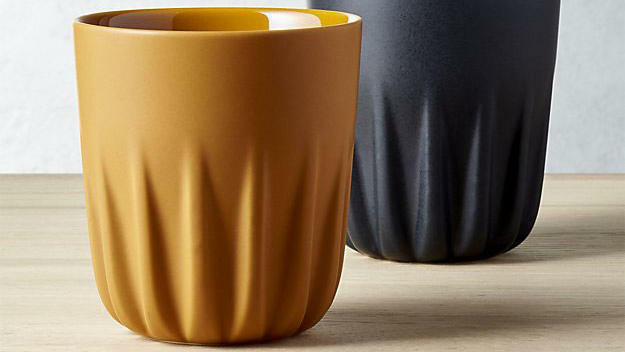 Bonus: This pleated design and matte/glaze juxtaposition adds intrigue. Sometimes rugs and blankets are too beautiful to lay down. 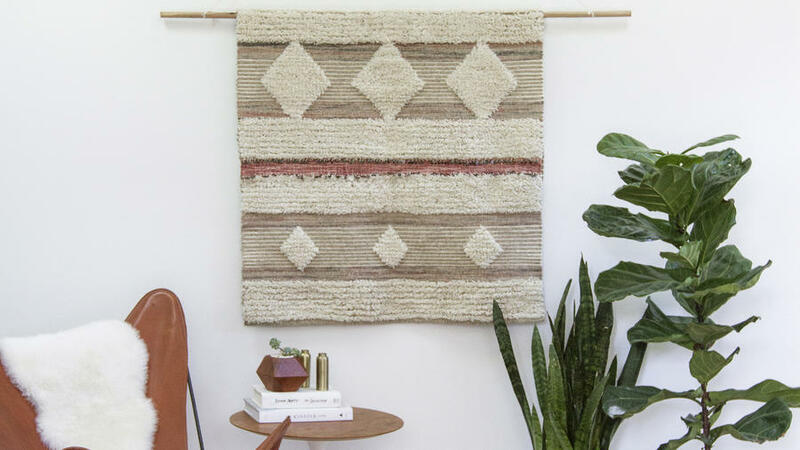 Instead, consider hanging up one in a Southwestern-inspired print as textured and unique wall art.